Over a thousand players are headed to Sarasota next week. Roughly 80 will leave as champions. The vast majority — as well as scores more whose seasons ended at Sectionals or Regionals — will head home reliving mistakes and missed opportunities, making a list of things they can do this off-season to help them become champions next year. Goaltimate might not be high on that list for many people, but I’d like to make the case that it should be. Goaltimate is what it would look like if ultimate and half-court basketball had a baby. It’s 4v4 on a smaller field with a giant, vertical, semi-circular hoop towards one end, a clear line on the other end, and a fast-paced, make-it-take-it format. Passing, scoring, fouls, and turnovers work similarly to ultimate, but a variety of rules tweaks create different incentives for various strategies. The stall is to six, subbing happens the fly, and goals are scored by passing through the hoop to a player in the (also semi-circular) end zone. There are both official and simplified rule sets, as well as instructional videos. It’s a great game to play with teammates or friends when numbers are too low for full-field 7v7 ultimate. Many cities host regular pickup games or organized leagues during the club offseason — and there’s now even a national championships series. Compare yourself to the elite ultimate players out there and take note of where the truly significant differences are. You’re probably not as quick as Claire Chastain, but I bet your give-go techniques are an order of magnitude slower. You probably can’t jump as high as Khalif El Salaam, but your high release flick likely pales in comparison. If ultimate were a video game, many Club Nationals players would have athleticism ratings clustered in the 90s or high 80s,1 while throwing and technique-based attributes would be all over the place. Sure, working hard to increase speed and athleticism helps, but why spend all of your offseason focusing on small gains there when there are other areas with much wider gaps separating you from the greats? Small-sided games like goaltimate are perfect for improving those niche skills that have plateaued for you because you’re not really “allowed” to work on them in serious practices outside of specific drills. The small playing field creates a faster pace of play. Shorter throws lead to less hangtime and more frequent opportunities for throwers to change the angle of attack. Consequently, the faster pace means you’ll expend energy more quickly, and thus get more “tired” reps in. You can practice all the trick throws you want, but if you can’t execute them while tired, your team won’t trust you to use them in a game setting. Four players per team means everyone is involved at all times. 7v7 means you are one of six receiving options for your teammates; now you are one of three. Better get open, no stack rats allowed! The lower stall count forces the offense to move the disc quickly. This affects both throwers and receivers: Throwers can’t stick with their stud receiver for 5+ seconds, and receivers can’t wait to assess the mark to set up a cut. The scoring frequency (per possession) tends to be lower, which encourages more risk-taking and non-standard throws (push pass, scoober, hammer, blade, offhand). Save your conservative open side flat throws for full-field ultimate. The hockey-style subbing fosters an even better environment for practicing while tired. The quick shifts encourages you to run hard anytime you are on the field; if you get so tired that you are hurting your team, you can sub out immediately rather than wait for a score. At the same time, it avoids the situation where a long point has everyone on the sideline tightening up. Anyone can initiate the stall count from anywhere, so your decision-making has to always be sharp, even when the thrower doesn’t have a mark. This happens frequently when the new offense clears the disc and the defense has just subbed, with no one on the mark. The stall waits for no one, and both thrower and receiver better be working to identify and isolate receivers in single coverage. The half court aspect and smaller, central “end zone” tend to reward technique and skill more than athleticism; you can win with trick throws on offense and smart, poachy defense in goaltimate much more easily than in mini. We still haven’t even mentioned what really makes goaltimate special: The hoop. A looming physical obstruction with playing field proper all around it. The sides of the pole mean there are two obstacles to shoot between, while its maximum height eliminates skyballs and hospital passes. This adds a prerequisite accuracy to scoring passes that you don’t get in ultimate or mini. The mark is almost always directly between the thrower and the hoop, reducing the utility of wide-angle around throws and encouraging high- or low-release inside breaks. The shape of the hoop punishes throws more the farther off the ground they get. This is a subtle reflection of ultimate: You can be a little off, laterally, on a flat throw because your receiver can adjust, but you have very little wiggle room on a blade. Hate playing against that annoying handler who constantly blades right over the cup? They probably refined it playing goaltimate. The playing space all around the hoop rewards defensive awareness and encourages defenders to keep their head on a swivel. The angles themselves are obviously a bit different than ultimate, but the real learning opportunity is recognizing how critical it is to know where the disc is at all times and adjust your positioning on every throw. The one drawback to playing goaltimate, relative to mini or full-field ultimate, is that you actually need the hoop to play; it’s nothing short of aggravating when the friend with the kit is running 30 minutes late. But kits are pretty cheap, so you can probably buy (or build) your own to alleviate that concern. 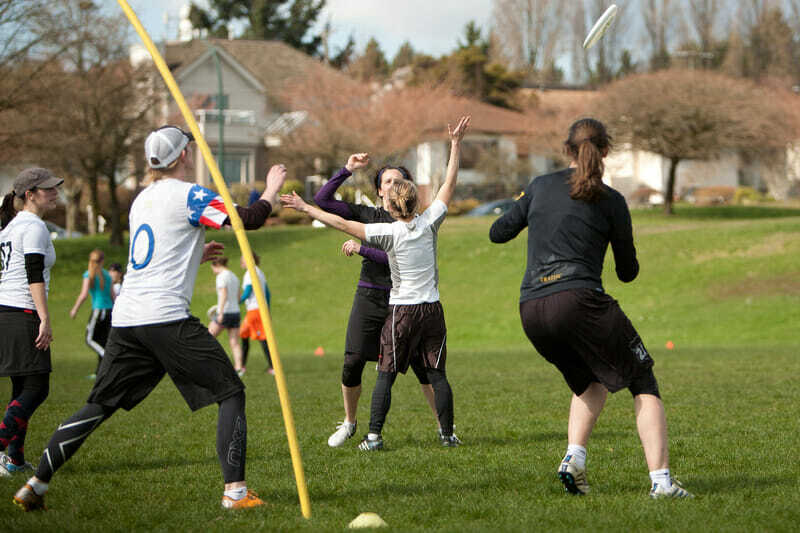 If you’re still doubting the benefits of playing goaltimate, consider that it’s a regular staple in the Seattle scene. Mixtape captain Bert Abbott specifically attributed off-season improvements to goaltimate in a Skyd article last year. Now, that city has legitimate title contenders in every division. But maybe that level of success just isn’t your thing. 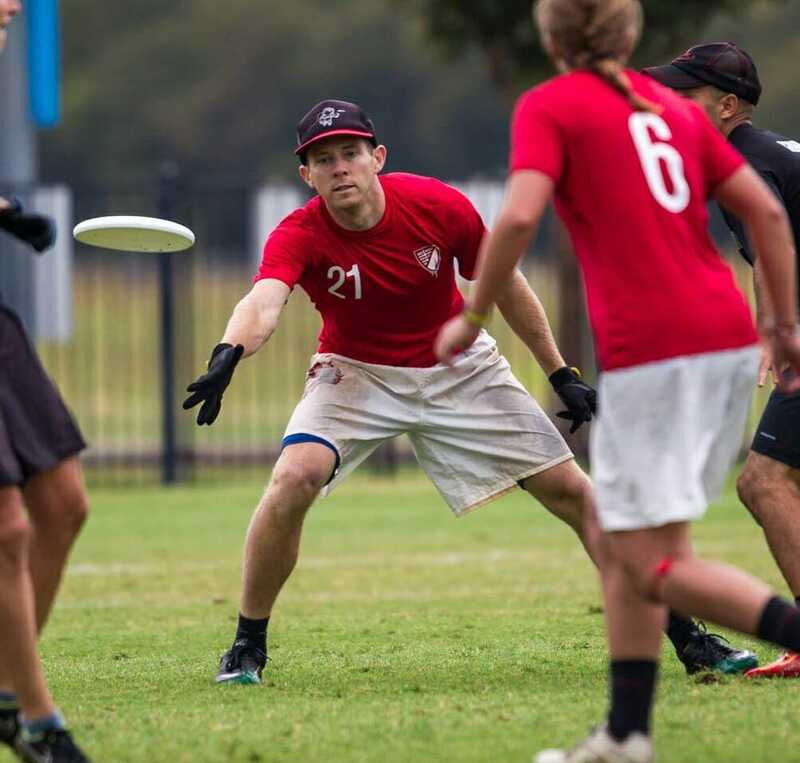 Comments on "Tuesday Tips: Why You Should Be Playing More Goaltimate, Presented By Spin Ultimate"